“I found myself out of work a few years back and, at my age (62), it wasn’t looking like I would find anything suitable, so it was a bit of a dilemma,” explains Paul Jones. Paul took some time to travel around southern and central Thailand before deciding on Chiang Rai in the north of the country. “Thailand offers pretty good mobile network coverage, as well as home internet access that, combined, sets me back around $29 a month. When it comes to food, I eat about half of my meals at some of the most popular local restaurants where it costs under $2 for lunch or dinner. The rest of the time, I tend to go to the local markets to buy the freshest fruit and vegetables at rock-bottom prices. Paul never gets tired of visiting the bustling Chiang Rai Night Bazaar, where he explores the different vendors selling locally made goods. 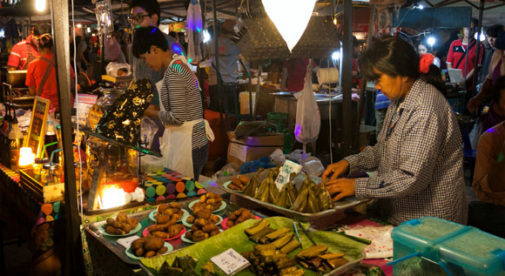 There are so many amazing food stalls and restaurants that, every time he goes there, he always finds somewhere new to try out authentic northern Thai cuisine, such as Larb Moo (spicy minced pork), with sticky rice or various types of grilled and barbecued meats. In general, Thailand has a very good public and private healthcare system, and, since Chiang Rai is the provincial capital, it has good facilities for essential medical care. Expat insurance is easily available from either Thai or international providers. Paul purchases an annual policy for $800 to ensure he is covered for emergency care and medical repatriation.